Although there are countless cultures throughout the world, almost all cultures share one similarity: weddings. Even though weddings around the world have many differences, they also have many parallels. The meaning of weddings is the same globally; they bind two people together. The similarities do not stop here. In most cultures, marriages bind not only two people but two families or two communities even. Elaborate and symbolic clothing is worn at weddings worldwide. Flowers are used across the globe not only as a decoration, but as symbols of fertility and to convey special meanings. Gifts are given to the newlyweds and also to those helping out with the wedding. Family of the bride and groom are very important and in many cases there would be no marriages or wedding without the guidance and financial help of family. Marriages are a time of celebration and joy in all cultures, often followed by feasting, music, and dancing. In Chinese culture, much thought is given to picking the wedding date. Certain days are seen as lucky while others are ominous. Red and gold are the standard colors for a traditional wedding because both colors have favorable meanings in Chinese culture such as fertility and fortune, and honor. White is seen as unlucky and is a color of death. Traditional wedding dress is elaborately embroidered red silk costumes, but in modern times, couples can wear what they want to and may wear American inspired white wedding dresses and suits. At the banquet there is a large feast of traditional Chinese foods, and guests give gifts of cash in red envelopes. Flowers such as lotuses, red roses, and lilies are popular. In India, old style weddings can be lavish, and marriages are still sometimes arranged. Gifts and feasts sometimes follow the acceptance of a match. Usually in Muslim Indian culture the engagement lasts four years. In the Muslim Indian ceremony the couple is washed and wears henna dye and jewelry, both of which hold symbolism. The Koran is read, a dowry is agreed upon (although dowries are now outlawed, the dowry now consists of wedding gifts of jewelry, clothing, or cash which are legal). The marriage contract is drawn and the female goes to live with the husband's family. Hindu Indian marriage is a sacred, holy coming together seen as essential in a person's life. 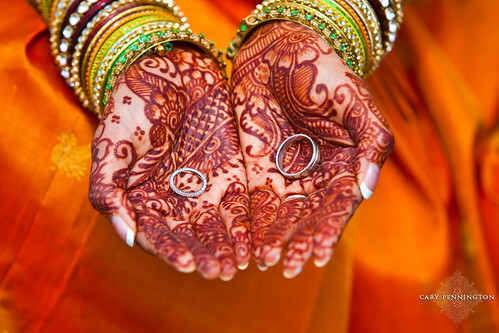 Ornate red or pink silk saris are worn and elaborate henna tattoos are painted onto the bride's hands and feet. Floral arrangements are profuse and ornate, and popular colors are reds, burgundies, and oranges. Lots of gold jewelry is worn, especially gold bangles. Generally, African weddings bind more than just two people-they bind families and even communities. In Nigeria, the bride wears a typical Western style white wedding dress while the groom wears a suit. The wedding takes place in a church typically and a reception with feasting, dancing and music ensues. However, a traditional Nigerian marriage differs. Leading up to the marriage, the man's family asks the woman's family for her hand in marriage. The guests at this event eat kola nuts, which symbolize the hope for prosperity, fertility, and happiness in the couple's marriage. A dowry of money or valuable items is paid to the bride or her family, although in modern times if a dowry is given it is most often given to the bride. An engagement is performed in traditional elaborate Nigerian attire where the couple exchange rings and Qurans or Bibles. The marriage takes place right after the engagement. All of this happens at the bride's home. The bride is unveiled at the end of the ceremony, prayers are said, and the bride arrives at her husband's house first and washes her legs and feet before entry. In the past, the wife to be was kept in a "fattening room" before the wedding in order to gain weight and learn to be a good spouse! An example of a South African wedding is that of a Zulu wedding. Generally two weddings occur a Western style wedding in a church with Western style wedding clothing, and then the classic Zulu wedding which takes place at the home of the man's family. The entire community is welcomed so there is no need for invitations. After the Western style wedding the couple changes into traditional clothing which for men is a leather loin cloth and for women is a leather apron along with necklaces and a detailed headdress. There is a lot of music and dancing and sometimes dancing contests. As in typical African weddings, the marriage does more than unite the couple; it unites the families and their ancestors. A goat or cow is sacrificed, beer poured on the ground, and gifts given in order to welcome the spirit ancestors of the couple to the ceremony. Colorful blankets are a common gift to the couple. In the Baltic country of Lithuania, the couple dresses in American style wedding clothing. 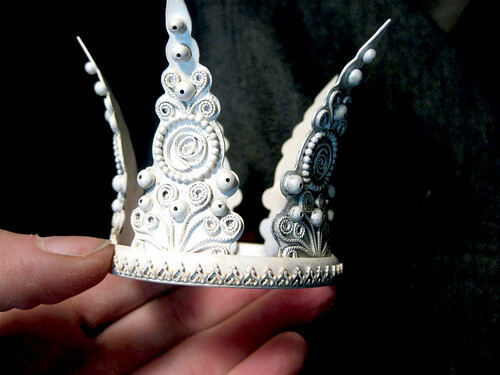 Brides often wear rue in their hair or a silver crown and the groom wears a flower from the bridal bouquet. The bride smashes a plate by stepping on it after the ceremony; the pieces are supposed to symbolize ending conflict or the number of children that will be born to the couple. A very important tradition in Lithuania as well as in Russia and Ukrainian countries is that the parents give the couple bread, salt, and wine. The bread expresses the wish that they will always have enough to eat, the salt represents the desire that they will get through difficult situations, and the wine symbolizes the hopes that they will never thirst and that they will prosper. There are toasts to the new couples' happiness as in Western culture. In many Baltic countries an ornately carved wooden spoon is given to the bride by the groom representing that he will always take care of her. The bride gives a scarf representing good luck and love to the groom. The wedding cake symbolizes fertility and prosperity. The groom also has a cake, a fruitcake traditionally, that is given to the groomsmen. Honey mead is a popular drink. There are many different cultures within Bolivia and wedding practices vary. For the native people, the wedding takes place at the parent's house. Family and friends are invited and the families carry out the ceremony which is a list of advice. Then the bride and groom exchange coca leaves and chew them with the guests following suit. The parents make a toast and then chichi, an alcoholic beverage is drunk. Traditional celebration foods are corn, llama meat, potatoes, sheep cheese, and a special tomato and pepper salad. A reception with music, dancing, and drinking follows the marriage. For the non- native middle class, there is a Western style wedding in a church followed by many days of parties. The parents of the couple share the cost of the wedding with friends. The reception is usually at the one of the parents' homes. In Peru, a fake wedding ring is attached to a ribbon and hidden in the wedding cake. The single woman who pulls the ribbon with this ring on it is supposed to be the next to get married. Australians and New Zealanders follow British and aboriginal rituals in marriage ceremonies. A family Bible is passed down from mother to daughter or father to son. Scottish and Irish traditions are included in ceremony and aboriginal instruments such as the didgeridoo are played. New Zealanders have extravagant Western style weddings in a church wearing typical American type wedding garb. In Maori weddings bride and groom wear infinity loops necklaces symbolizing eternal love. The Caribbean islands are home to people from many different countries so weddings vary a great deal. The couple dresses in their finest clothes and walks to the church from the parents' home while the bells ring around the whole island. Villagers line the street to watch them. Anyone is welcome to the wedding. There is no best man. The ceremony is a mix of catholic, Mayan and African. The wedding reception may last all night with island music, rum punch, dancing, and toasts. Handmade quilts and furniture are typical gifts. Goat, chicken, and plantains are popular foods for the reception. The wedding cake is a black fruit cake with rum sauce and is made with a family recipe. A traditional Finnish bride wears a small crown and walks from house to house collecting gifts. It is customary for an older man to come with her and hold an umbrella over her, symbolizing protection. Also she carries a match symbolic of keeping love burning. The rice thrown that gets stuck in her hair is counted and purported to foretell the number of children she will have.. In Swedish tradition the bride is given a silver coin by the father for the left shoe and a golden by the mother for the right shoe. The wedding is in a church and is similar to American weddings. During the wedding it is important for guests to kiss the bride or groom. In Norway a ring shaped cake of marzipan stacked into a pyramid serves as the wedding cake. Norwegians jump over a broom and into marriage during their ceremony. For the Rotuman people living near Fiji, marriage is negotiated by a relative of the groom. During the proposal, the groom's side brings kava root and baked foods to the bride to be's house and many family members decide on a wedding date and if the wedding will be big or small. Generally the date is set far in advance to give time for preparations. The bride and the women of her family make exquisite white mats to give as gifts to the other relatives, friends, and district chief that have helped with the wedding. The district chief plays a large part in helping with the wedding and is given the best gifts. A special shelter is built for the wedding, or a permanent shelter is decorated just for the wedding. There is a ritual hair cutting of both bride and groom to symbolize the transition from childhood to adulthood. A complicated ceremony followed by dancing and eating roasted pig, kava root, taro, and watermelon, pineapple coconut gifts of mats, food, and honey takes place. After the wedding, the man moves in with the woman's family. The Tongan people of Hawaii are similar in that there is a large feast, family plays a huge importance in the wedding, and the couple moves in with the bride's family. Most Mexican weddings occur at a Catholic Church and the ceremony is conducted by a Catholic priest. Godparents play a very important part in Mexican weddings. They help pay for the wedding, act as mentors for the couple, and serve in the ceremony. During the ceremony they carry a rosary or wreath of blossoms and wind these around the heads of the bride and groom to demonstrate that the two are now one. The groom gives the bride a small ornate container of 13 coins that symbolize his promise to take care of her. Afterwards, there is dancing and feasting. 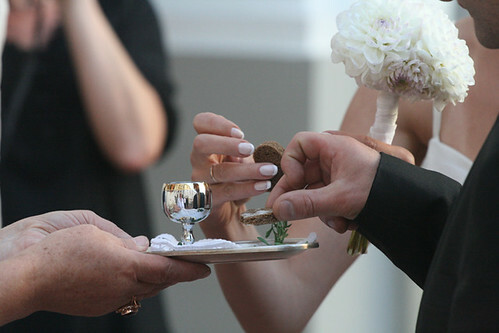 A variety of European and Eurasian wedding traditions are explored in these links.